I’m currently working on a maze game, which might also turn into a roguelike at some point. The game currently has no title, so at home we just call it AMazing. This project actually started as an Arduino Game, but then I decided also to do a project on algorithms maze generation as part of my master degree, and the project out grew the capabilites of the Arduino. However, I do plan to finish this simple version for the Arduino at some point. 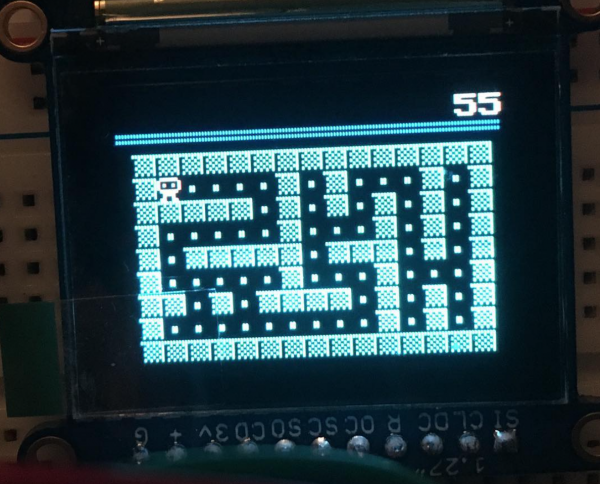 This new and larger version also have several new features that the Arduino version does not. But I won’t reveal to much before I start working more on the gameplay. 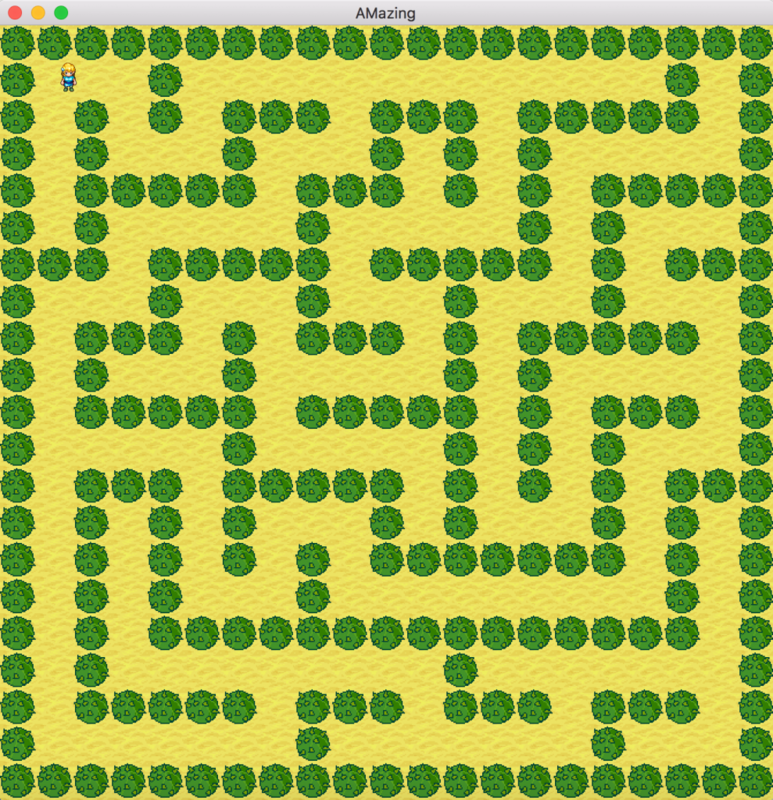 While I looked into different algorithms for generating mazes, I rendered the mazes in 2D using placeholder art found at OpenGameArt.org. 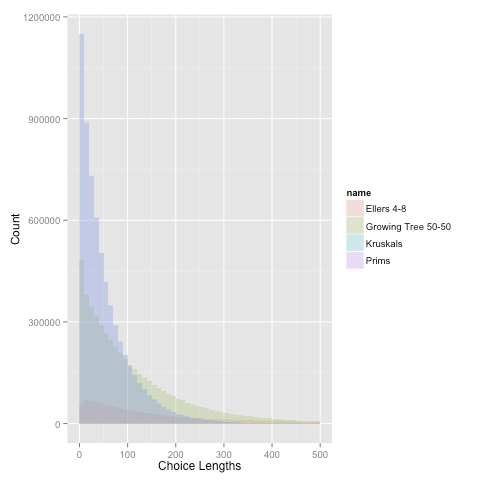 I implemented, tested, analyzed and compared a selection of algorithms and created a range of plots from the results for the project report. One of the things I looked at, was the branching factor of the created mazes and how long sub-paths starting at each branching was. Based on this project I now have a selection of implemented algorithms ready to plugged into the game. How and which I will end up using is not yet clear. One idea is to have a Create Game menu which will enable the player to specify what settings to use when a new maze is generated. Such as few branches with long paths or many branches with short paths. So, this was a somewhat short introduction to the game project I’m currently working one. Currently my plan is to write both overview dev logs presenting what I’ve worked on since last and also more in-depth posts explaining specific problems that occurred and how I’ve tried to solve them. Check out the about page to find out more about who I am.